how is your leaving inspiring quotes in random places trend going? It just reminds you, too, to find joy in the every day. 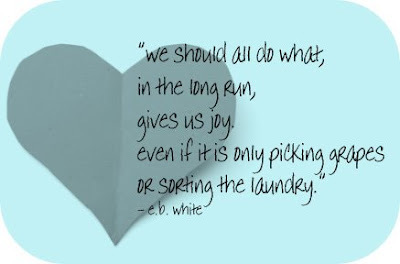 The things we do can be joyful, even if they seem mundane. Thanks for sharing this! OOH i just cut that out of a magazine and put it on my fridge.. so true. makes me feel better about doing the things i love that others may find mundane.